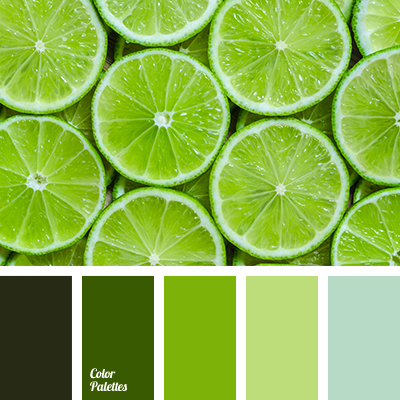 Attractive, summer shades as ripe, juicy fruits. 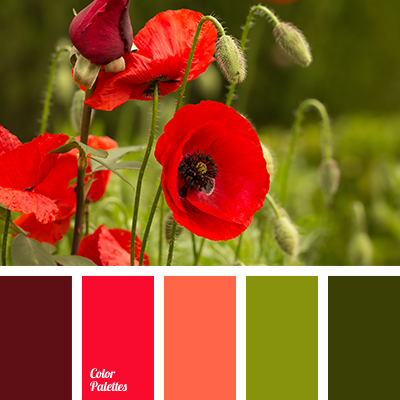 Warm colors provoke the supply of energy of happiness and it seems like you can move mountains. 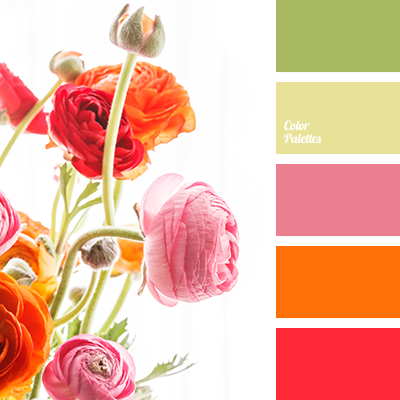 Orange and scarlet radiate optimism and cheerful mood. Color of fresh grass and dark green supplement each other. As symbol of nature they make interior more fresh and natural. 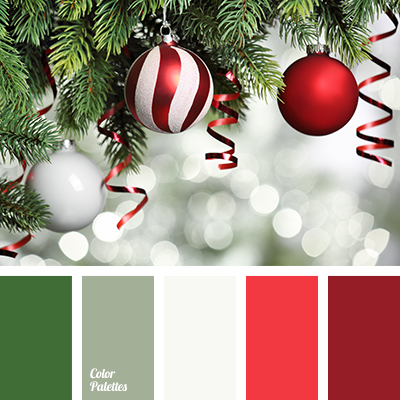 These colors help to create bright accents in design. 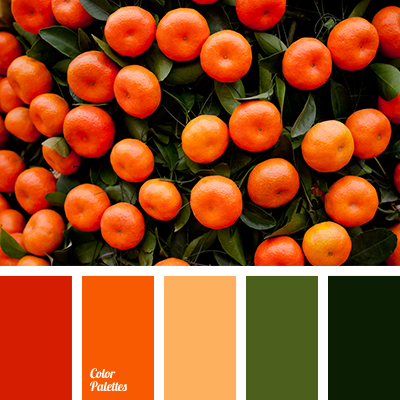 bright orange color, choice of color in the interior, dark green color, green color, green shades, olive color, orange color, red color, tangerine color.